The firm was praised for its “excellent industry knowledge” and ‘focused and commercial advice’ across a range of cross-border M&A mandates and reorganisations, and for providing 'comprehensive and succinct advice' across a range of IT, IP and media law matters. MOLITOR has been ranked as a Top Tier firm in Dispute Resolution. 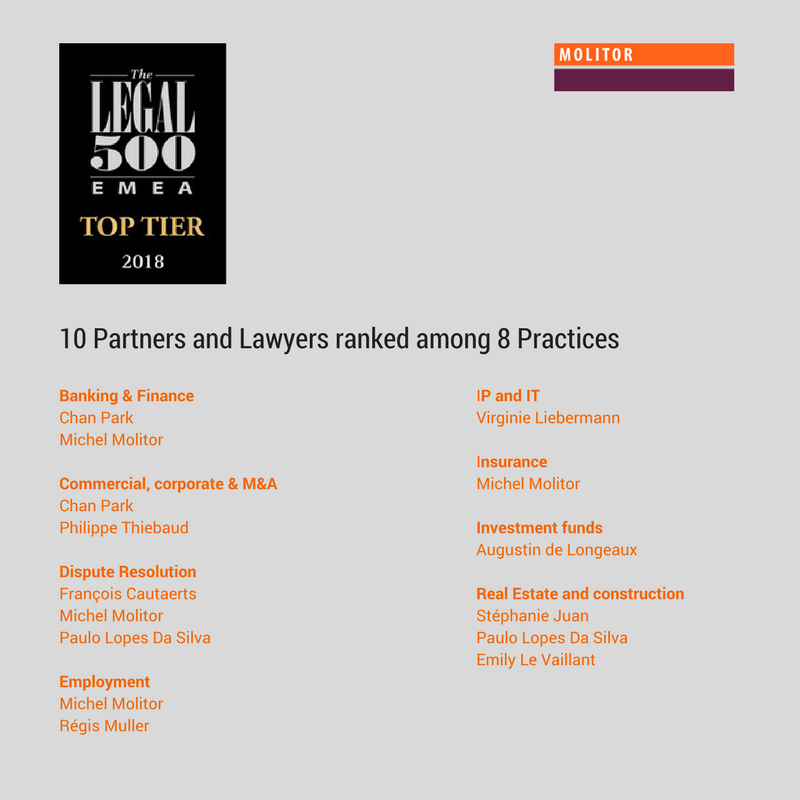 They say that "the 'responsive and knowledgeable' team has an excellent reputation for handling cross-border business disputes" and Michel Molitor has been listed in the elite "Leading Lawyer" list and in The Legal 500 Hall of Fame. We are delighted by our clients' appreciation and proud to be ranked in this prestigious legal directory.